At Farrer Primary School Preschool Unit your child will be welcomed, cared for and guided in their learning by a wonderful team of qualified Early Childhood professionals. We provide a learning environment that fosters inquiry, collaboration and wonder, as reflected in the Preschool Philosophy. Children seeking to enter school at the Preschool entry point must be four years of age on or before 30 April in that year. Preschool enrolments open in May of the year prior to the commencement of the Preschool year. Enrolment forms are obtained from the front office of Farrer Primary School or are available online through the department's website (www.det.act.gov.au). The Early Years Learning Framework (EYLF) enables Farrer Primary's early childhood teachers within the Preschool setting to extend and enrich children's learning, provide opportunities for children to develop a foundation for learning and for children to become successful learners. The Farrer Preschool Unit was assessed in 2015 and rated as exceeding under the National Quality Framework, introduced in January 2012 for all early childhood services in Australia. This rating was given in the areas of educational programme and practice, children's health and safety, physical environment, leadership and service management, collaborative partnerships with families and community, staffing arrangements and relationship with children. 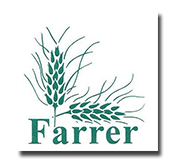 Farrer Preschool prides itself on sustainable practices and establishes important foundations for children under the philosophy of the primary site, which is 'Educational success for a socially and environmentally sustainable future'. Students from the Preschool site have access to the school's Environment Centre as well as their own animals, insects and garden to care for. As a Waste Wise School, we actively promote sustainable practices and foster respect and care for the environment. We encourage parents to assist us with our animals, insects, garden, waste management system and promote these practices at home. Families are encouraged and welcome to share their special skills, interests and divers family cultures with the Preschool. Volunteering your time for part of or a whole day is encouraged at Farrer Preschool.